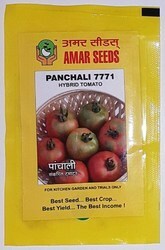 Our range of products include drumstick seed - amar 32, tomato seed - panchali ( hybrid), okra - amar tulsi (hybrid) (vegetable seed), palak seed (indian spinach) - all green, sponge gourd seed - hirwai (hybrid) and cluster bean - amar chalisa. Ready to harvest within 5 to 6 months, Pods with more flesh, 1.5-2 ft long, 400-650 pods / plant / year, Continuous yield for 3-4 years from plantation. The seeds for cultivating hybrid tomatoes is the first picking is recommended only after 60 to 70 days of transplanting. Our high quality hybrid tomatoes seeds help in the cultivation of deep red, shiny, oval shaped tomatoes that are developed in a bunch of five. The tomatoes are resistant to Verticillum and Fusarium Wilt and Viral diseases and are also tolerant to sun scald due to fruits covered by green foliage. The tomatoes have a shelf-life of 5-6 days and are suitable for both local and distant market transportation. The cultivation of tomatoes is done all the year round. 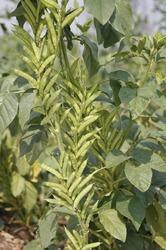 The harvesting period of Okra-Amar Tulsi is from 45 to 110 days. The branches of Okra plant are extensive and the fruits they bear are 8-10 cm in length. The color of okra is dark green metallic in color and shiny. It is highly resistant to yellow vein mosaic virus and bears excellent keeping quality. The product is suitable for export purposes as well. 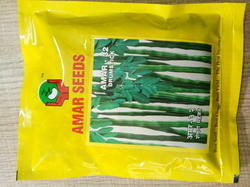 The extremely nutritious palak seed is hugely demanded all over the world. 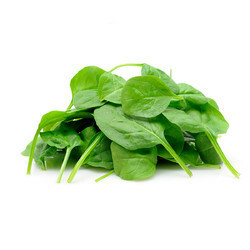 The crop takes a total time of 90-100 days for picking and palak so grown is dark green in color with extensive leaves. It remains fresh for longer time and is tolerant to pests and diseases. It is used in making several palate pleasing dishes. 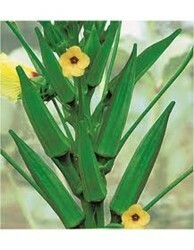 Our hybrid quality Sponge Gourd – Hirwai are ready for picking within 45-50 days of planting. The fruits so obtained are shiny green in color, cylindrical and of uniform size. These are also non spongy and tender in nature. Having excellent keeping quality and taste the sponge gourds are hugely demanded in local as well as super markets. These are resistant to powdery mildew and can be planted in any season of the year. Amar Seed's desi,fresh and tasty Cluster Bean. Very good in taste and as it is desi variety it can get higher rate in market.Ready to harvest in 40 days.This variety having branches with large number of pods.Suitable to cultivate in all seasons. The Bitter Gourd seed–Veer Dhawal are ready to harvest within 60-65 days, owing to the usage of our variety of high-yielding seeds. The fruits that are grown are attractive, medium long, white in color with thick spines. 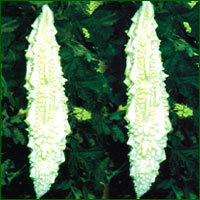 The bitter gourds are of export quality and are tolerant to downy and powdery mildew. Looking for Vegetable Seeds ?